Political decisions and processes, movements and reforms are often associated with great personalities. In the course of their careers, many secular as well as spiritual leaders grow into figures of the media public–and to their audiences, their faces become symbols for their achievements. 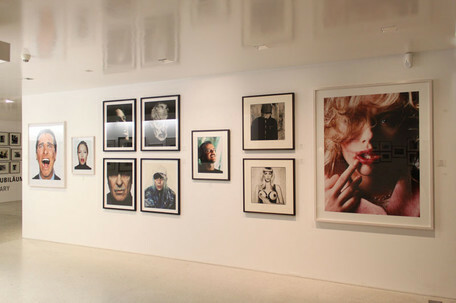 In the special exhibition »ICONS AND STATESMEN« the Museum THE KENNEDYS presents unusual portraits of these individuals. 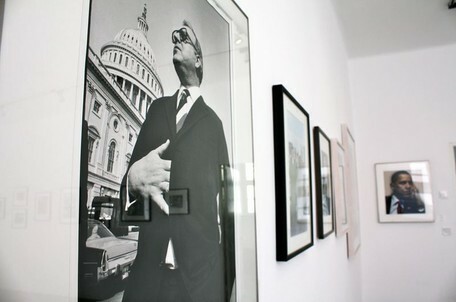 In addition to extraordinary shots of various U.S. presidents, the exhibition also features personal moments in the lives of German politicians, officials of formerly socialist states, and notable human rights activists. Two images from the series »Behind the Mask« by Martin Schoeller are particularly captivating in that they grant the audience an unprecedented physical proximity to the subjects, Angela Merkel and Bill Clinton. Due to the use of soft neon light instead of a flash and the eye-level focal point, these unusually close frontal shots enable a direct encounter with the iconic faces and their wealth of detail. Additionally, Nadav Kander's photograph of Barack Obama is the work of a true artist and shows the current president with an air of his perhaps most prominent character trait: thoughtfulness. On the one hand, the exhibition offers intimate glimpses into the lives of famous people; the award-winning photographer Robert Lebeck photographed Willy Brandt 1972 in a quiet moment on the beach of Fuerteventura or–four years later–Helmut Schmidt in his house on Lake Brahmsee. On the other hand, the pictures capture moments that have played an essential role historically, such as the Yalta Conference of 1945 or the socialist Fraternal Kiss exchanged between Erich Honecker and Leonid Ilyich Brezhnev in 1974. An icon is commonly understood as a person who has come to be seen as the embodiment of certain values or concepts. »ICONS AND STATESMEN« exhibits the portraits of people who have fought for their political or social convictions and, in some cases, still continue to do so. For multiple decades the 14th Dalai Lama has been advocating the protection of a Tibetan national identity and, in the light of his tireless efforts, received the Nobel Peace Prize in 1989. 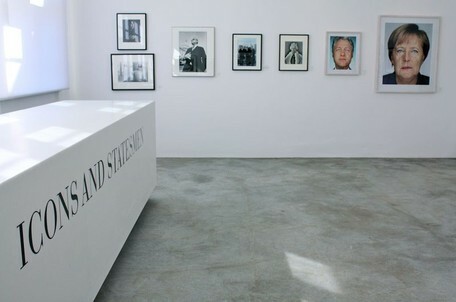 A photograph by Herb Ritts showing the Buddhist leader is therefore part of the special exhibition, as is a shot portraying the internationally acclaimed civil rights activist and Apartheid opponent, Nelson Mandela. Taken in 1994 by Jürgen Schedeberg, the picture was captured during a visit to the cell in which Mandela spent the majority of his 27-year sentence as a political prisoner. 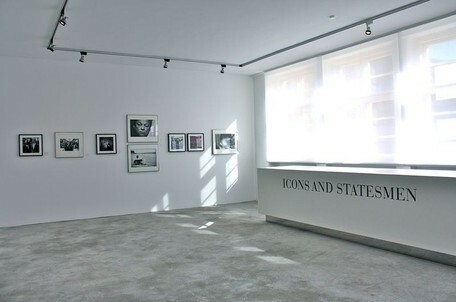 Whether through capturing historical moments or through staging remarkable photo shoots, the versatile works of the special exhibition »ICONS AND STATESMEN« allow the visitor to approach these celebrated personalities and, for just a moment, face them directly in all of their humanness. 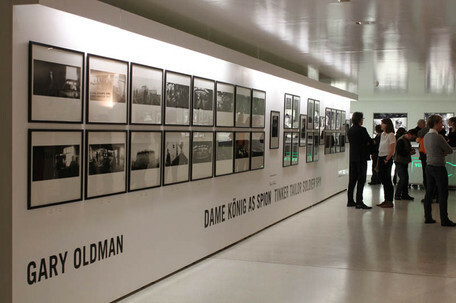 On the occasion of the 62nd Berlin International Film Festival the Museum THE KENNEDYS presents the special exhibition »Hollywood in Style – An Homage to the Icons of Film.« Photographs of famous actors and actresses from more than eight decades can be seen in an extraordinary collection of photographs. Film legends of the Golden Age of Hollywood, such as Gary Cooper, Marlene Dietrich, Grace Kelly, and of course James Dean and Marlon Brando present themselves in picturesque poses, strong and characteristic portraits, and iconographic scenarios. 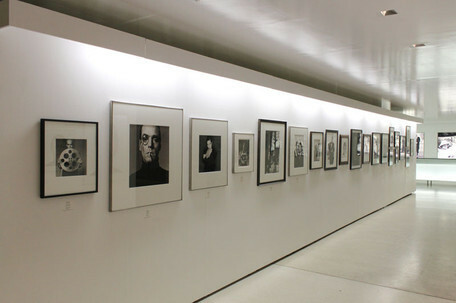 The special exhibition not only shows famous people of this glorious era in US-American film history, but also film icons from the 1960’s, with impressive photographs of the film diva Sophia Loren, as well as portraits of the protagonists of the New Hollywood of the 1970s such as Jack Nicholson. The contemporary Hollywood is represented by stars such as Angelina Jolie, Scarlett Johansson, Christian Bale, and Johnny Depp, who pose in sensual, but also provocative photographs, which are representative of this newest generation of actors. Many of the actors and actresses shown in this exhibition have been involved in productions in Berlin, the capital of German film production. In addition, many Hollywood stars are expected to visit the city for the 62nd Berlin International Film Festival. 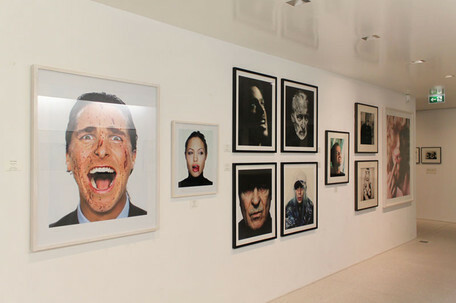 Parallel to the festivities of the film festival, with its actors and actresses, visitors are able to see photographs by Nadav Kander, Martin Schoeller, Russell James, and Anton Corbijn, who staged them in impressive settings. 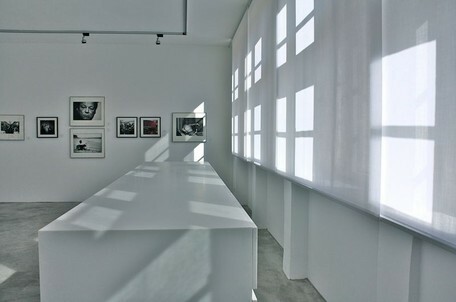 Moreover, many rare vintage photographs can also be found in the exhibition. Some of these and other presented photographs are available for sale. Please do not hesitate to contact us with any questions. The Museum THE KENNEDYS, in collaboration with PAUL SMITH, is pleased to present the special exhibition »Tinker Tailor Soldier Spy,« which will take place during the FASHION WEEK and the accompanying SHOWROOM DAYS. From Monday, January 16, 2012, the museum at Pariser Platz, visually pleasing for lovers of architecture and only a stone's throw away from the MERCEDES-BENZ FASHION WEEK, will play host to an exclusive selection of photographs which were produced during the shooting of the film version of John le Carrés novel TINKER TAILOR SOLDIER SPY (1974). Actor Gary Oldman did not only act in this film, which will be released in German theaters on February 2, 2012, he also grabbed a camera and documented the work on set together with photographer Jack English. The result is a portfolio of impressive set photographs and portraits of actors such as Colin Firth, Tom Hardy, and John Hurt in an almost picturesque mise-en-scène, allowing for a rare look behind the scenes into the world of film. The acclaimed British fashion designer Paul Smith contributed to the realization of the screen adaption by acting as a consultant for set designers and costume designers, and through his involvement in the creation of the moodboard. 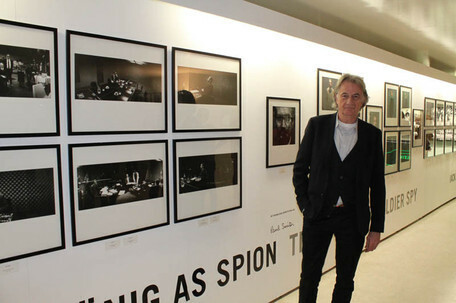 The exhibition of the photographs by PAUL SMITH in London in September 2011 was hugely successful. After being on display at the museum THE KENNEDYS, the photographs will be presented in Los Angeles. The film TINKER TAILOR SOLDIER SPY is set during the Cold War–a dramatic era of history, that John F. Kennedy witnessed as President of the United States. The story takes its course as British secret service agent George Smiley, played by Gary Oldman, searches for a Soviet spy within his own ranks. The classic spy drama stands out because of its gripping dialogues and extremely convincing actors. Celebrated as a »masterpiece« by the British press and honored with such renowned awards as the GOLDEN LION in Venice, the film release of TINKER TAILOR SOLDIER SPY in Germany on February 2 is eagerly anticipated. Even before the film's premiere, the Museum THE KENNEDYS now offers a peek behind the scenes. Thanks to the comprehensive permanent exhibition about the Kennedy family, visitors can familiarize themselves with some of the most dramatic moments of the Cold War before they move on to the special exhibit, which carries them back to the beginning of the 1970s, in which the film is set. Gary Oldman is one of the most successful British actors of contemporary film. Apart from working as an actor, Oldman has worked as a director and producer. He has received numerous awards and is famous for his versatility, known to a wide audience ever since he played Lee Harvey Oswald in Oliver Stone's political thriller JFK (1991). His latest roles include those of Sirius Black in the screen adaption of the Harry Potter saga and Commissioner Gordon in Christopher Nolan's Batman films. Jack English is a British photographer who has been working closely with musician Eric Clapton for several years and was responsible, among other things, for documenting Clapton's tour. It was through this work that Gary Oldman first heard about Jack English. He engaged him for his directorial debut NIL BY MOUTH (1997), for which English was set photographer. He later continued to photograph on film sets such as Luc Besson's THE FIFTH ELEMENT (1997) and JOAN OF ARC (1999). 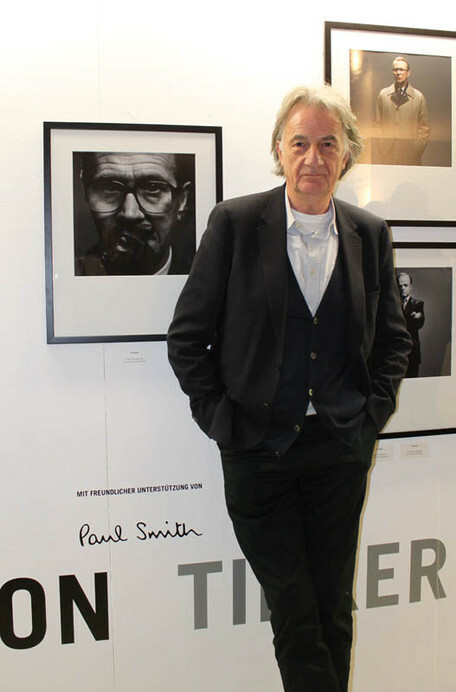 Sir Paul Smith is one of the most well-known and successful British fashion designers. The famous stripe patterns are the trademark of this fashion brand, which embodies classic designs with a twist. Apart from numerous collections, Paul Smith also works on design projects with other companies, and gives his touch to bikes, snow boards, glass bottles, and even notepads.